Make your football game day party extra special with this sweet & salty Faris Gourmet Popcorn original recipe. A treat all your guests are sure to enjoy! Alter the ingredient sizes for your party size. In a large bowl, mix together Faris Gourmet Popcorn Toffee Corn with all ingredients until well blended. Serve in a large bowl or separate between smaller bowls for your football game day guests to enjoy! 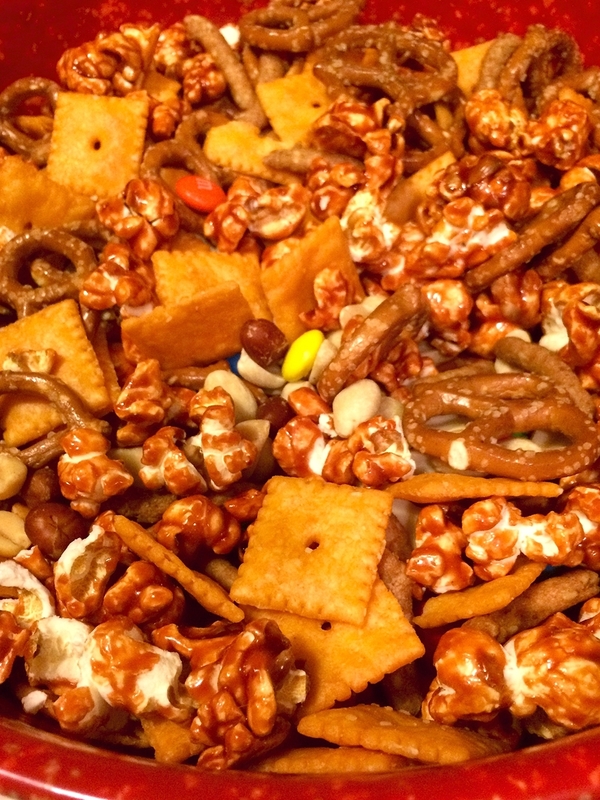 Suggestion: Purchase Faris Gourmet Popcorn Toffee Corn in a plastic container and you can use the container to transport your snack mix to your party and keep the leftovers fresh (but let’s be honest, there probably won’t be any leftover!). a division of united manufacturers, inc.